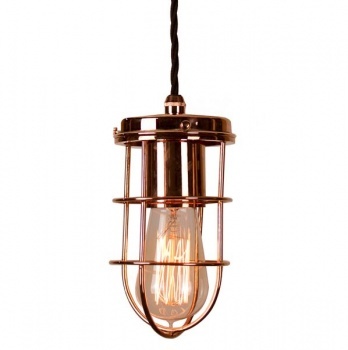 The Cellar 6 Light Cluster made of Solid Brass is available in Polished Copper (Shown) or Antique Brass Finish. Supplied with Silk Flex the height can be adjusted prior to installation. 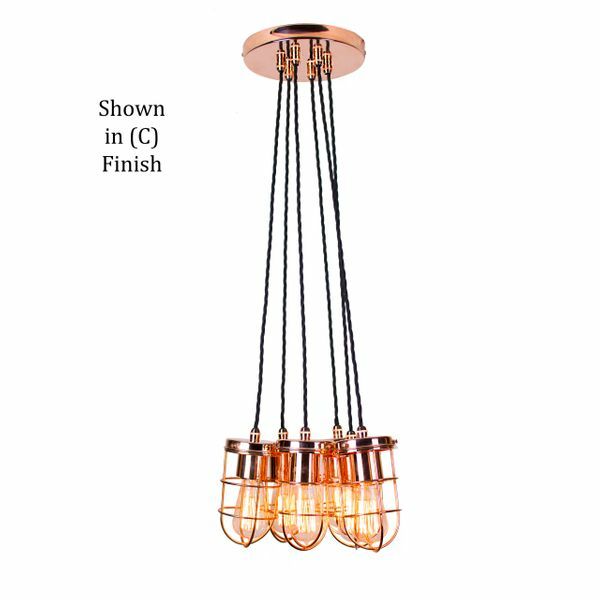 (Shown with LB2 lamp) supplied complete. 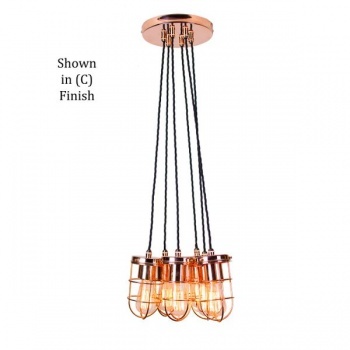 A dramatic centre light with a real Vintage Flavour.